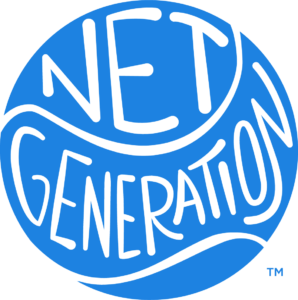 NYC Aces Tennis runs a Net Generation approved program built around the Player Training Pathway that aligns with the USTA's 10U Youth Progression System. This pathway focuses on developing the proper foundation for each player from an early age so that they can be setup for long term success without limitations. Our 10U Player training pathway is designed with the goal of helping players develop the proper fundamentals and skill sets from a young age. We do this by introducing players to the essential parts of the game based on their age, physical size, and ability. Leveraging appropriate sized courts (36'/60'/78') and correct equipment such as shorter racquets and low compression balls (25-75% slower than a standard ball), we ensure players develop the proper foundation, athletic skills, and technique needed to grow their games. By the time players get to hitting a regular yellow ball on a standard court, they have become well-rounded players ready to compete confidently. We believe that defining objectives and having a plan to achieve goals is important for our players, their parents, and our coaches. We teach a curriculum customized to our players' skill levels, in which each lesson aims to achieve a key objective in a player's development process. Each of our practices has a lesson plan consisting of a warm-up, athletic and tennis skill development, team games, character-building activities, and a homework activity for players to do between sessions. We understand that each player's skill level and development is unique, so we constantly track and monitor a player's progress. Our coaching staff works closely with the Director of Player Development to provide regular feedback on how each individual player is performing. Using this feedback, the Director of Player Development provides an assessment at the end of a stage that breaks down competencies and overall performance to determine if a player is ready to progress to a higher stage. We know that young children learn by observing and imitating adults. We make observational learning a big part of our program by bringing in local juniors, college players, and some of the world's top touring professionals to play in front of—and with—our players. We also take our players to nearby pro tournaments to see the best players compete at the highest levels of our sport. By engaging in these types of special opportunities, we give our young athletes positive examples and role models.